HomeSpeed Breeding: Could This Be Our Answer To Food Insecurity And Overpopulation? Black Holes: Not That Attractive After All? Day by day, the Earth's population is growing. Social science research has clarified that the world's population is increasing at a rate faster than we thought! Now, overpopulation is a problem of major importance. It is estimated that the number of people will reach 9.9 billion by 2050. That makes it a 33 percent hike to the existing population. Forecasts predict that this kind of population explosion will lead to a huge food supply problem. So, experts started looking for immediate and optimal solutions. In preparing for this unusual increment in population, scientists are investigating possibilities, in which everyone has access to food. Research at NASA has led to the development of some solutions, the results of which are beyond expectations. The main idea came from the need to produce food quickly and with limited resources, such as during space missions. NASA has questioned the circumstances long before, and until today, researchers have been trying to shape conditions in such a way that the future of food is well-accounted for. The scientists at the University of Sydney, the University of Queensland (UQ) and the John Innes Centre are presently working in the same direction, i.e. focusing on unique techniques for the fast production of food. The main goal of the team was to grow plants, healthier than usual, and to achieve a high growth rate too. In the past, solutions such as heat-resistant cows, vertical farms and lab-grown hamburgers were developed. These were indeed remarkable achievements, but one of the most innovative technologies, known as "speed breeding" stood out. The method refers to the development of intense lighting regimes for raising crops several times faster. It is a common misconception that an intervention in the natural agricultural process will result in food being less healthy. But in reality, innovation such as this boosts health and speed, and there are several experiments reassuring people of this. This proposed breeding solution is focused on ensuring specific conditions where crops are raised. The plants are placed either in a glasshouse or an artificial environment, where the seeds are subject to low-cost LEDs. The light is then emitted at specific wavelengths to boost photosynthesis for about 22 hours per day. It is the spectrum of light that triggers reproduction and leads to the growth of healthy plants. Photosynthesis is the process in which light energy is converted into chemical energy, and light is the most important parameter to derive suitable results. Compared to common lamps, LEDs are less expensive but much more effective. Speed is of the essence here because the breeding technique is combined with others to obtain positive results for the plants. The crops are believed to be of high quality and absolutely pure for organisms. Using this setup, in the first year, breeders were able to grow six generations of wheat, chickpea and barley, and four of canola plants. The same strategy has been followed with peanuts, amaranth and lentils, and the potential growth of sunflower, pepper and radish in the future. The research team also compared these plants with those grown under regular greenhouse conditions. They found that the speed-bred produce came out on top, as far as quality was concerned. Although rapid plants have been in existence for a while, this rate of healthy plants was considered unique. "People said you may be able to cycle plants fast, but they will look tiny and insignificant, and only set a few seeds. In fact, the new technology creates plants that look better and are healthier than those using standard conditions. One colleague could not believe it when he first saw the results", said Dr Brande Wulff of the John Innes Centre, lead author of the paper. This is not a genetically modified method. 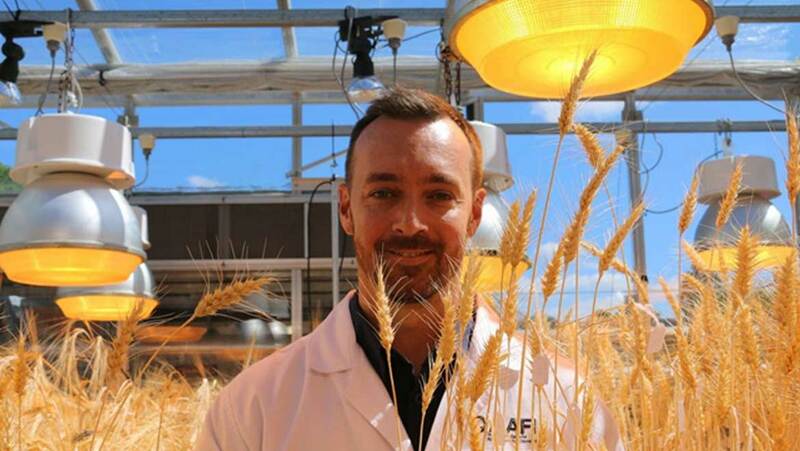 But researchers speculate that by combining it with GM engineering, there is great potential - further boosting in the quantity of food produced in a short time. Genetic modifications can be very compatible with speed breeding, and the combination of two or more such techniques could have successful results. There are volunteer organizations working to ensure systematical progress towards the overpopulation problem. Various companies are also looking to adopt and develop this promising new technique. 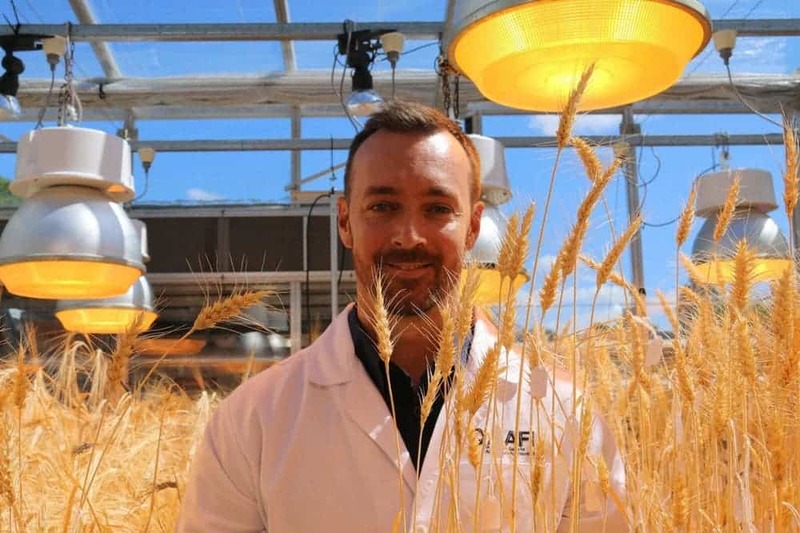 An Australian company called Dow AgroSciences is using speed breeding to nurture a wheat variety with great resistance. This advancement is a big step for our generation because it could mean we are assured of food security, irrespective of the difficult road ahead. Sceptics are debating the possible negative effects that this procedure will have on the smooth growth of produce. But, so far, it seems only to have a positive impact on our culture. Efforts such these promote and create a superhuman struggle in defending the health of every living individual.